The hull appears and is reported to be in good, sound condition. According to the Seller: Engines along with the generator all have low hours and are in good working, running condition. All electronics along with appliances are reported to be in good working condition. Stock #166131 47' Crew Boat powered by twin, 871 Detroit diesels with low hours! If you are in the market for a crew boat, look no further than this 1978 Neuville 47, priced right at $138,900 (offers encouraged). 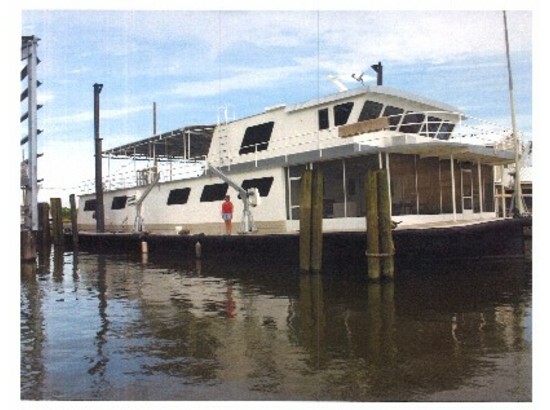 This vessel is located in Venice, Louisiana and is in good condition. She is also equipped with twin Detroit Diesel engines. Reason for selling is contract and job ended. 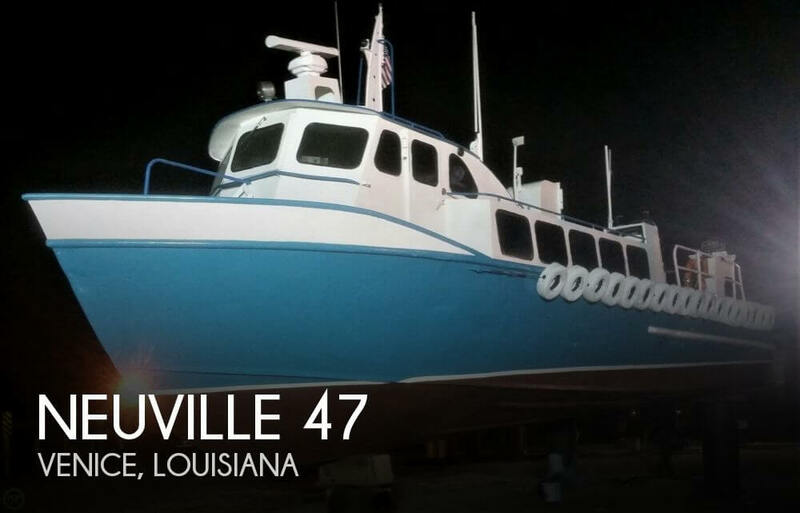 1976 Post Marine 42 Convertible Repowered 2008 1976/08 “Paint Bucket” is a 42' Post Classic sport fish but it is also now one of the most highly customized Post's ever built. A Total refit makes this beautiful vessel modern in every way, except the classic lines. Powered by 2008 Cummins, Qsb. COMMON RAIL ELECTRONIC DIESEL 480 BHP. Zf Gears with Glendenning single lever electronic controls with main backup. Ice blue alwgrip hull coated in 2011 and algrip deck and cockpit refinished in 2012. running surfaces completely redone and serviced seasonally Garmin systems redundant of color radar, 3 GPS maps, fish finder with 1k transducer, FLIR nightvision , sitex and ray marine backup radar and fish finder. All bright work rails new in 2010 and upgraded. Teak pilot chair, teak covering boards and toe rail, pulpit Mains have only 550 hours, cruise at a economy rate of 18 ghp @ 26 mph. spare wheels, and shafts. 9 kW northern lights genset 600 hours new in 2010 with new gel batteries and charging systems Gloss mahogany interior Galley down with teak and holly floor. Full sized refrigerator. She has new custom marble counters, convection microwave. Twin master midship and upper and lower bunk forward. New salon couches and under storage, flat screen sat. TV. Custom rod storage and fully enclosed brow with full tinted side windows 34’ double rig Rupp outigers, underwater lights. Complete sound system. 440 gal. fuel,+ 50 gal. 120 gal fresh water s/s water heater. Dripless shaft seals, oil change system for mains and gen. 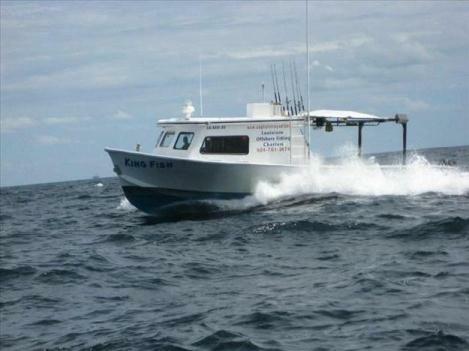 Knowledgeable owner has spared little in making this midsized classic a modern fishing cruising vessel. Call today! Please contact the owner directly @ 504-701-3474 or [email removed]...44' X 18' CUSTOM SINTES HULL WITH TWIN 450 C-SERIES CUMMINS DIESEL ENGINES * TWIN DISK 2 1/2 TO 1 * V HULL WITH DOUBLE CHIME BOTTOM & 2 TUNNELS * 5 KW KUBOTA GENERATOR * DUAL STEERING * FURUNO ELECTRONICS * 20' X 18' CUSTOM CABIN WITH FABRIC UPHOLSTERED CEILINGS * DARK WOOD FINISHES AND RED/WHITE/BLUE LE.D. SPOT LIGHTING * (2) BUILT-IN BUNKS WITH QUEEN MATTRESSES * BUILT-IN STORAGE * MICROWAVE OVEN * CUSTOM ALUMINUM & LEATHER DRIVER'S CHAIR * WENCH-OPERATED LIFT FOR ENGINE COVER * 5000 LB. SELF-DRAINING BUILT-IN ICE BOX * CUSTOM COVERED DECK WITH ALUMINUM FRAME & TARP * BLUE L.E.D. ROPE DECK LIGHTING * DRAFT 2' * CRUISES AT 24 KNOTS. 2015 Bossman Karma19 Tiller The Karma19 micro-skiff has been specifically designed to give you the capability to reach the areas that only kayakers have seen. This is a professional grade technical poling skiff that drafts in just 3 1/2" of water with motor, fuel & gear. The Karma19 V entry hull with reverse chines & flat bottom provides a dry smooth ride that is very stable & easy to pole. Package price includes new Tohatsu 20hp 4 stroke tiller with power trim & tilt and 2015 aluminum trailer. Additional pricing available for Suzuki, Mercury, E-Tec or Yamaha. PURCHASE OR DEPOSIT ON A BOSSMAN SKIFF BY SEPTEMBER 30, 2014 & GET A 12V MINN KOTA TROLLING MOTOR & 8FT SPORTSMAN SERIES II POWER POLE INSTALLED FOR JUST $1995! We are located in Florida but can delivery anywhere in the USA! Call Richard for more details at 1-888-458-8864 or visit our site at www.bossmanboats.com.